If you are planning your holiday in Malaysia, do include Melaka in your itinerary. Melaka offers a lot of exciting tourist destinations and attractions that promise a great holiday that will be remembered for a long time. 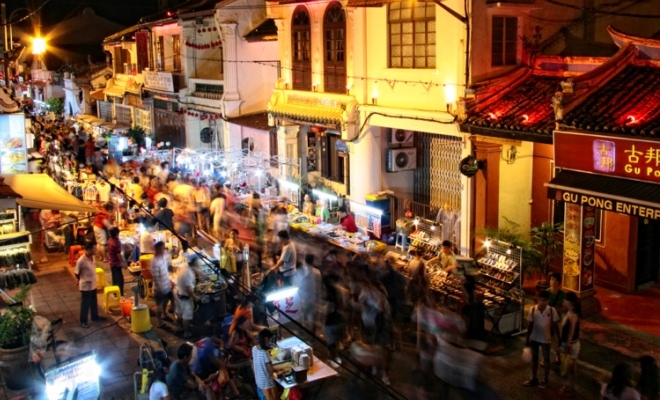 When having vacation in Melaka, your trip would most definitely not be complete without a walk down to Jonker Street. This is probably the most famous street in Melaka and gathers people of all walks of life to see the beautiful antique shops, eateries dishing up the best local dishes and shop till they drop. Jonker Street has it all. Situated at the heart of Chinatown, this street boasts itself for being a one stop tourist attraction in Melaka that has it all. Walk down the street and be spoiled for choices on the many clothing stores that sell at affordable prices. Bargaining is also a practice here. As you walk along the street, why not try some of the local cuisine. Eat light as you make your way through the many hawker stalls that sell some of the amazing treats you must try. This is a great place to taste the local cuisine; at affordable prices too! Do try out the fried egg ice cream and don’t miss out on some of the best dodol and cendol stalls situated here. Jonker Street in Melaka is also home to a historical artifact. The mausoleum of a local hero; Hang Jebat calls the street its home and beckons tourists to come and see the grave of this particular warrior. According to the legends, Hang Jebat was one of the five warriors who are the popular heroes of Melaka. The grave site has a unique design which only goes to show that despite Hang Jebat`s rampage through the town of Melaka back in the day, he was given a heroes burial. A good time to come to Jonker Street will be in the evening. After visiting the mausoleum of Hang Jebat, the sun would have set and the atmosphere would not be as hot as you make your way through the crowded Jonker Street. At night, the night market is ready and lighted up to entice visitors and locals alike to come and get a good bargain from the stalls here. Here is another great place to taste the local delights. One specialty here; besides the fried egg ice cream is the assorted fish balls. One of the top rated hotels in Melaka, travelers’ choice! Comfortable room with quite environment in the bustling Jonker Street. Nice heritage boutique hotel with clean room, comfortable bed and friendly staffs. Spacious rooms and within walking distance to major attractions in Melaka. Car park is guarded. Clean room and friendly staffs.